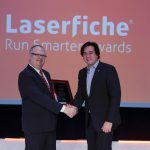 The annual Run Smarter awards program recognizes organizations for demonstrating the most innovative uses of Laserfiche. Winners are selected based on the positive impact Laserfiche has had on their organizations, departments and business processes. In 2019, we celebrate the 15th anniversary of the awards. In honor of this milestone, we interviewed some former winners to find out how their Laserfiche implementation has improved since they received the award. Martha Rodillas is the Private Secretary to the Mayor at the Mayor’s Office in the County of Hawai’I, HI. The county won the Run Smarter Award in 2007. Did you work at Hawaii County when the county won the Run Smarter Award in 2007? When the county won the Run Smarter Award in 2007, I was employed by the County of Hawai’i, Office of the Corporation Counsel. I remember when Laserfiche founder Nien Ling Wacker notified me that we had won. It was a big deal! We worked really hard and were honored to be recognized. What impact has the Run Smarter Awards had on the county? 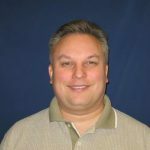 The Run Smarter Award impacted the county, by spreading confidence to other departments (who did not have Laserfiche at the time) that Laserfiche document imaging software was the way to go. After we received the award, we took Laserfiche to another level by spreading the good word throughout the county. Other county departments would call our office looking for documents because they were not able to locate them themselves. Since we were on a mission of getting rid of paper at the Corporation Counsel’s Office (the county’s legal department), we scanned everything. As county departments realized that our method of finding documents was fast, efficient and saved space, they wanted to be a part of minimizing paper and being able to locate documents as quickly as we could at the Office of the Corporation Counsel. I spearheaded training sessions for many county employees across the island, sometimes driving two hours each way. I helped the individual departments with their templates, folder structure, business processes, etc., until they were comfortable to do it on their own. How is Laserfiche being used at the county currently? Laserfiche is being used in several different ways. It is the main repository for all confidential internal company documents. We also use Laserfiche WebLink to share numerous documents with the general public on the county’s website. This is very useful especially now, as the county is dealing with the active volcano eruption. We are able to keep the public notified about the ongoing eruption by posting all public releases and lava information in the public portal. 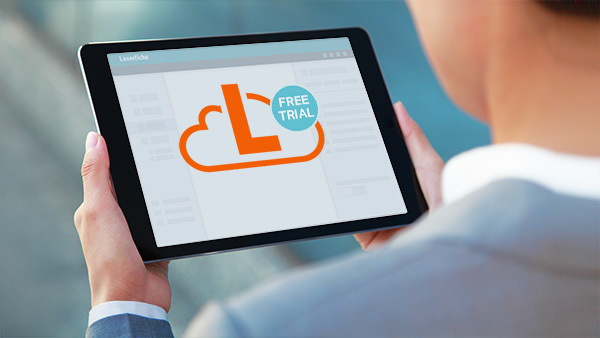 What are the benefits that the county is seeing with Laserfiche? The simple folder structure makes it very easy to find documents and share them with other departments. Being able to view the history of projects with the click of a button has increased employee accountability. Customer service has also been improved because citizens can safely download public records directly from our website instead of asking someone at the county to do it for them. At the Mayor’s Office, we generate a monthly report for the media which includes a summary of documents received over the course of the month. This report is generated using the “Correspondence” template. Due to the large volume of documents received in the Mayor’s Office on a monthly basis, this report provides a quick overview so that the media doesn’t need to sift through every single public portal page. The media is very appreciative of our efforts to provide them with this summary report. I love Laserfiche and we rely on it 1000% today! Do you have any advice to new Laserfiche users? My advice to new Laserfiche users is to embrace the technology. Start by improving the business process with simple steps. Make sure to get the input of all stakeholders in the design of the folder structure and document templates. Designate one person to lead the initiative and train other staff members, but be open to ideas and input from everyone who will depend on the enterprise content management system. Go in with an open mind and dream big – it can come true!